PhD Fellow Shashwat Kumar attends 2nd Annual International Conference on Politics & Public Policy, 4-6 February, 2019. 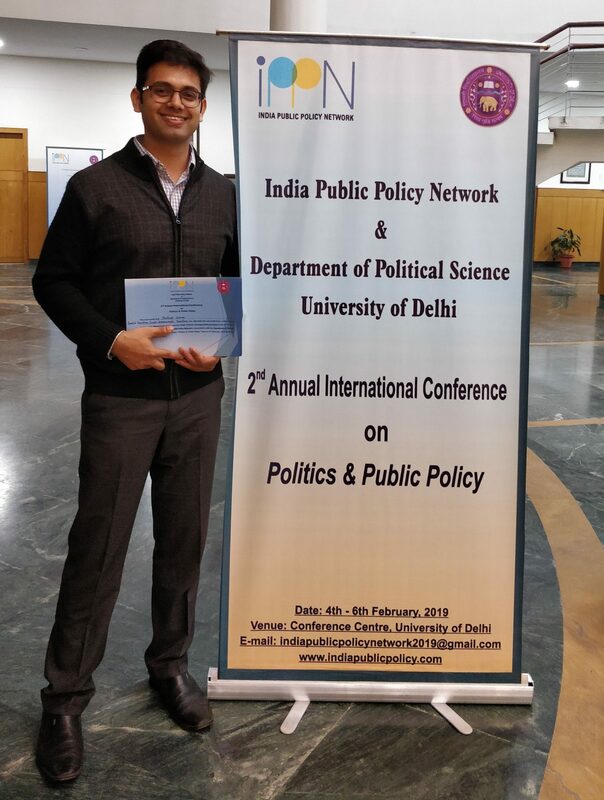 PhD Fellow Shashwat Kumar attended 2nd Annual International Conference on Politics & Public Policy, 4-6 February 2019 in Dehli. 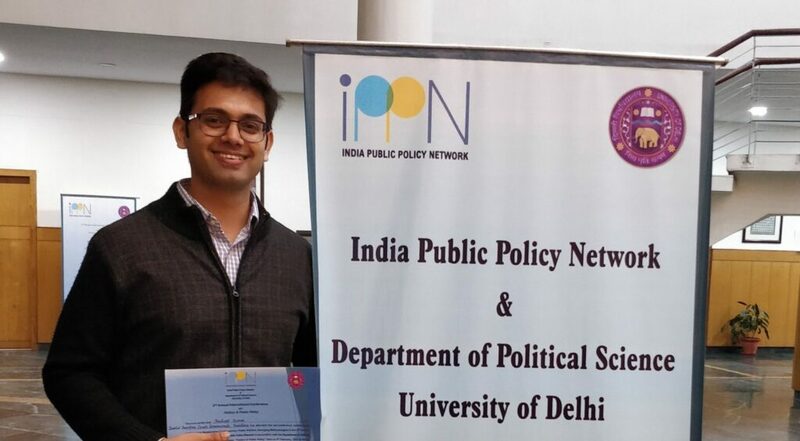 The conference was organised by the India Public Policy Network (IPPN) & the Department of Political Science of the University of Delhi. Shashwat Kumar attended the pre-conference workshop for research scholars on “Researching Contemporary Public Policies: Emerging Methodologies” on 4 February. He presented ‘The diffusion of Regulatory Governance in India: An analysis of Institutional diversity and distribution of regulatory responsibilities’.